THE PRICE ON THIS INCREDIBLE BUILDING IS NOTHING SHORT OF CRIMINAL! WITH JUST SHY OF 20,000 SQ FEET OF SHOP, OFFICE AND STORAGE SPACE, THIS FABULOUS BUILDING SITS ON 4.45 ACRES AND LENDS ITSELF TO ALL SORTS OF POSSIBILITIES FOR THE DISCERNING BUYER. THE SHOP IS HEATED WITH BOTH IN-FLOOR AND RADIANT HEAT WHILE THE MAIN FLOOR OFFICES AND SHOWROOM HAVE FORCED AIR AND IN-FLOOR AND THE 2ND FLOOR IS HEATED WITH FORCED AIR. THE OFFICES AND SHOWROOM ARE AIR CONDITIONED. THERE ARE 4 120 FT, PULL THROUGH BAYS AND 2 DRIVE IN BAYS, ALL COMPLETE WITH HUGE 16x16 OVERHEAD DOORS. COMPLIMENTING THE SHOP IS A 5 TON OVERHEAD CRANE THAT RUNS THE LENGTH OF THE SHOP TO HELP WITH THE HEAVY JOBS. EASY ACCESS OFF OF 584 1/2 MILE WEST OF THE JUNCTION OF HWYS 584 AND 22. THE SHOP IS A MECHANICS DREAM!! THIS FABULOUS PROPERTY NEEDS TO BE SEEN TO BE BELIEVED. 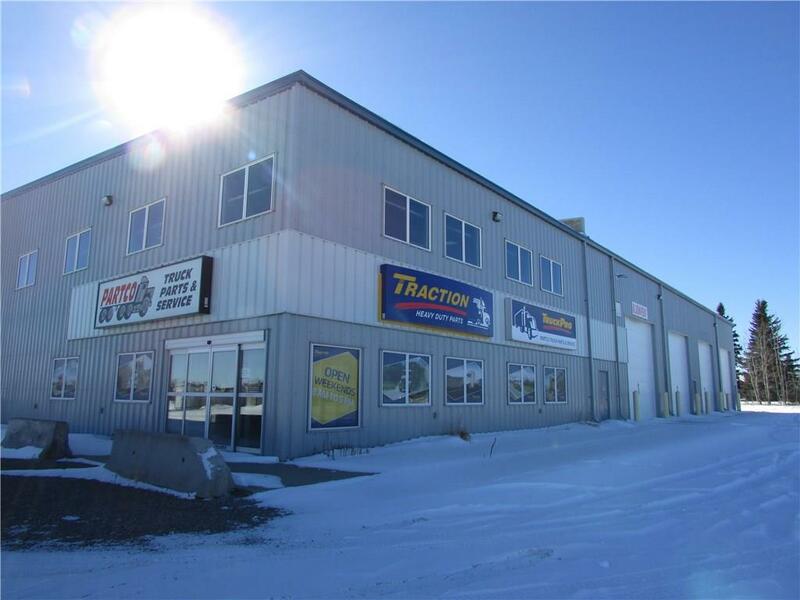 Home for sale at #7 5445 Hwy 584 Sundre, Alberts T0M 1X0. Description: The home at #7 5445 Hwy 584 Sundre, Alberta T0M 1X0 with the MLS® Number C4229350 is currently listed at $2,150,000.